Simon Staples tasting note for this wine begins simply, wow!. A rigorous selection, both during the harvest but also beforehand in the vineyard, by Thierry Gardinier and his team, has reaped dividends at this rejuvenated estate on the outskirts of the town of St Estphe. Made from 53% Cabernet Sauvignon and 47% Merlot, this impressive wine boasts an intense, sweet, toasted nose of rich black fruits followed by a fresh palate of pure, concentrated fruit that epitomises the St Estphe terroir. Given the price, this is surely a must-have for any cellar. The Wine Advocate - A legitimate sleeper that is still young and rich, this 2003 possesses lots of cassis, earth and mineral characteristics in its smoky, spicy, vibrant, young personality. It has reached its plateau of full maturity where it should remain for another decade. This would have been a great buy in 2003. 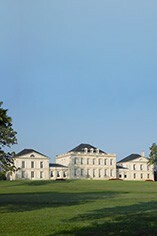 Château Phélan-Ségur is a Cru Bourgeois St. Estèphe property that produces textbook meaty, solid and long-lived St. Estèphes. It was bought by Xavier Gardinier in 1985 and is now run by his sons, Thierry and Laurent. Phélan-Ségur's 66 hectares of vineyards are well-sited near the Grionde estuary and lies on well drained gravel soils. The vineyards are bordered by those of Château Montrose and Château Calon-Ségur. 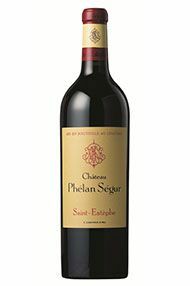 Phélan-Ségur's wine is a blend of Cabernet Sauvignon (60%), Merlot (30%) and Cabernet Franc (10%). The grapes are fermented in temperature-controlled stainless steel vats and the wine is then matured in oak barriques (30% new) for 15 months. Phélan-Ségur usually requires at least 5-7 years of bottle ageing to show at its best and the best vintages can continue improving for up to 15 years.